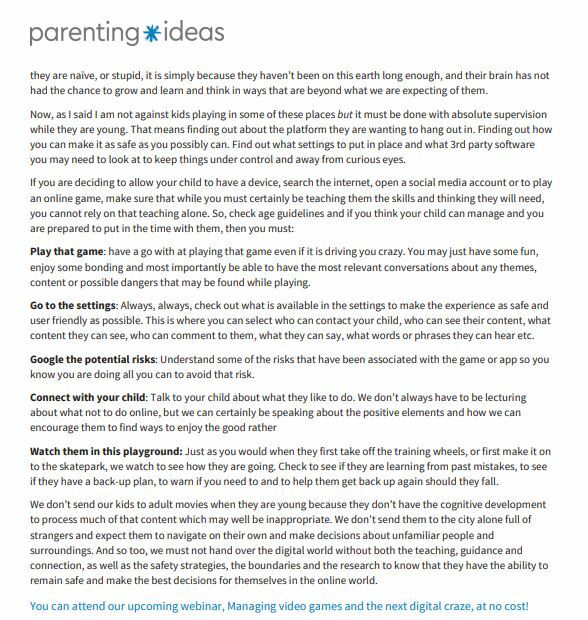 When it comes to kids and video games there’s so much for parents to learn. Why are kids so fascinated? 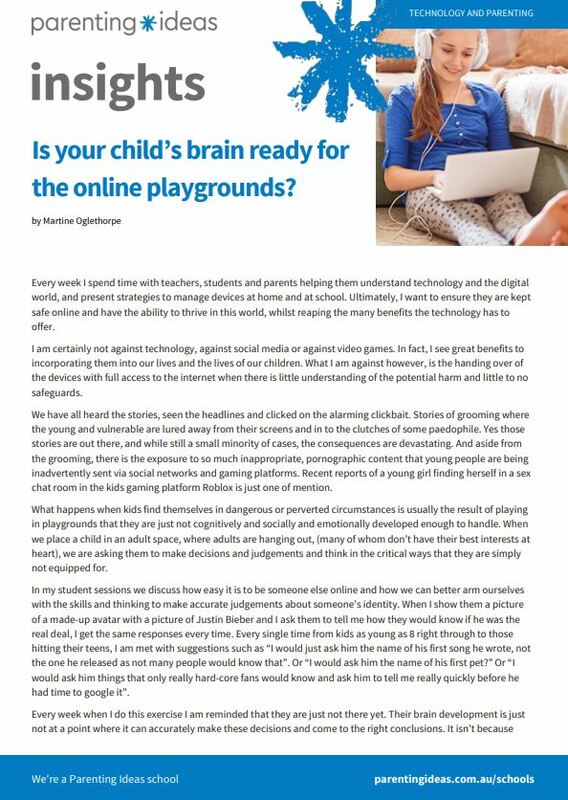 Please see Webinar Voucher for ‘Managing Video Games and the Next Digital Craze’, in separate item of Touchstones.